Scale the Summit is an American progressive metal band based out of Houston, Texas. It formed in 2004 and signed to Prosthetic Records. The band draws influences from other progressive acts such as Cynic and Dream Theater. However, unlike most other progressive metal bands, they have no vocalist and play solely instrumental music. In 2004, Guitarists Chris Letchford and Travis Levrier moved to Los Angeles to attend the Musicians Institute where they met drummer Pat Skeffington. Several months later, the band was complete with the addition of Jordan Eberhardt, while attending M.I. Chris and Travis also attended a luthier course, where the duo learned to build their own custom guitars. 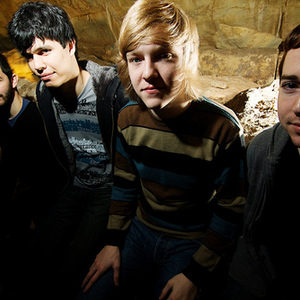 At the end of 2006, Scale The Summit moved to Letchford's home state of Texas where they released their self-released debut album, Monument. They slowly started to gain attention from magazines such as Kerrang and Rock Sound and Amp. A couple years later in 2008 they signed with Prosthetic Records and began working on their second album, Carving Desert Canyons. It was this album that started getting them a lot more attention and it was soon after that they really started to become more known within the metal community through such avenues as the Progressive Nation tour. After a couple more years of touring the band settled in again in late 2010 to record their most recent album, The Collective. The band has recently played as part of the Progressive Nation tour with Dream Theater, Zappa Plays Zappa and Bigelf. In 2010, they toured North America in support of Between the Buried and Me, along with Cynic, and Devin Townsend Project. In 2011, they will begin a tour with Periphery and Fair to Midland. On April 3, 2012 it was announced that bassist Jordan Eberhardt has parted ways with the band due to no longer wanting to tour full time. Mark Mitchell formerly of Tetrafusion was chosen to be Jordan's replacement. Mark's first show with the band is set to be April 21st, in Bridgeport CT for Fauxchella Fest.